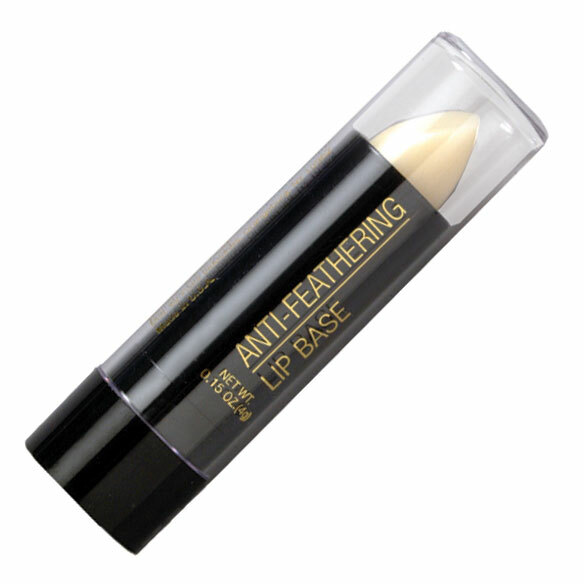 Anti Feathering Lipstick Base - .15 Oz. Lipstick bases help lipstick stay put and last longer! No more smudges or feathery lines. You spend money on a flattering color of lipstick...don't let it embarrass you. Apply conditioning anti feathering lipstick base before lipstick. 0.15 ounces. I put it on before I put on my lipstick and the lipstick stays on longer. I don't have anything bad to say about it. 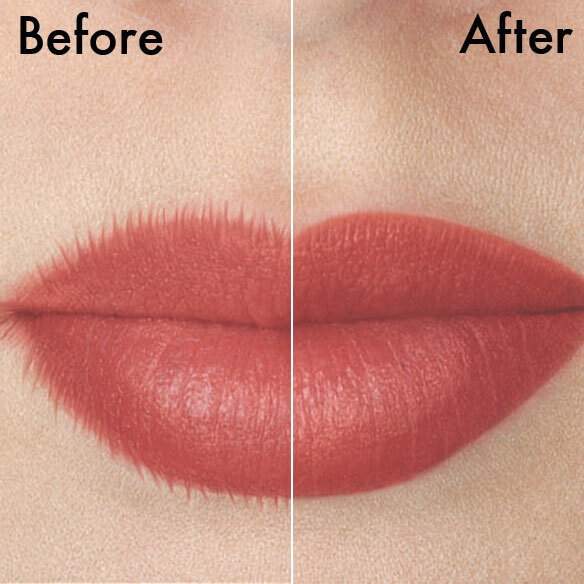 I have always tried to find something to keep my lipstick from bleeding into the lines around my lips and this perfect, no more lines. I am happy to report this. Thank you. I have dry skin and feathering is a problem. This product has served me well. It wears off with the lipstick but it does not allow the color to bleed onto the surrounding skin. I will buy it again. I used this "lip fix" 20 years ago when I saw a coworker using it. I saw that her lipstick did not creep up to her nose! and she was 10 yrs my senior! I wasn't able to find it again until I saw it in your catalog! I had been bemoaning the fact that it was unavailable to friends, then the next week it was in your catalog! So I ordered each of them one! I will buy this over and over again! I use it wether I'm putting lipstick on afterwards or not. Keeps away dry lips. I use this all around the outside of my lips and it makes the lines around my mouth look better. Sometimes I do use it on my lips. I bought one to see if it would work with feathering and i was pleased with the result. Keeps my lipstick from creeping onto upper lip. I've used for many years. Because I use it daily. It works. Have something similar & it works. Hope this one does too. Have used this item for many years and am well satisfied with its performance. I'm using a cream that needs to be applied with your fingers, so will try your stick product and see which I like the best. Excellent product, helps lipstick to stay in place all day. To see if it works. Feathering is a problem for me. This item didn't work on me. Would not recommend. To keep my lipstick from migrating into the newly developing creases around my mouth. I'm trying this for the first time. Just thought i would try it since reviews were good. Needed and have used products before. My lips are feathered and dry. Hope this helps. Have used in the past and works beautifully and cannot find in the beauty store anymore. Wonderful product I've used for years...does keep lipstick from feathering and moisturizer lips as well! I have problems with lipstick feathering all the time so want to try this"
Excellent product, great price, and it lasts a very long time!! To keep lipstick from funning. I have lines around my mouth and when I wear lipstick you can really see the lines so I just use chap stick. Was looking for something to control the "bleeding" around the lips when applying lipstick. I want my lipstick not to feather and not creep into my lines and wrinkles. When we get older, we need extra help sometimes! Don't like feathering lips !